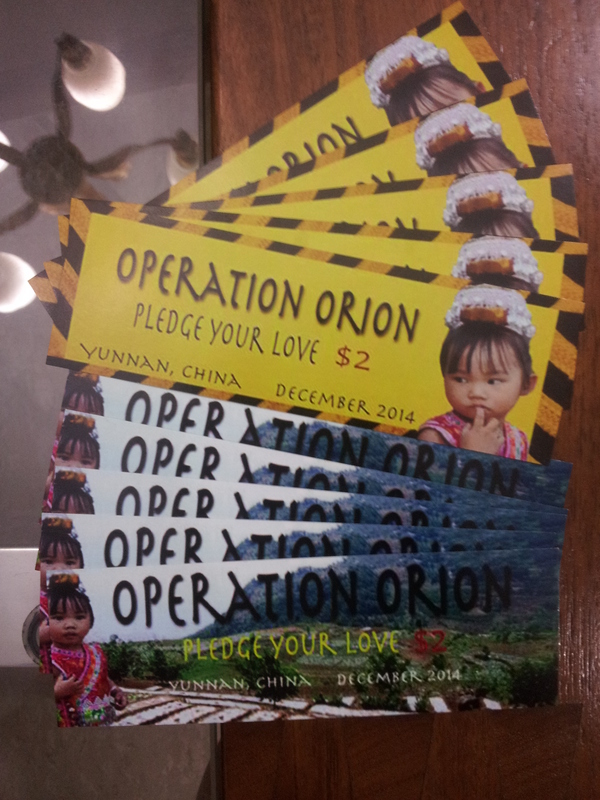 Operation Orion 2014 would like to thank you for supporting us in our fundraising efforts! We are sure that many of you have seen our booths outside LT 6 at the Faculty of Engineering or at the benches outside of Central Library. Also, some of you may have been approached by our mobile sellers to contribute to our fundraising efforts. 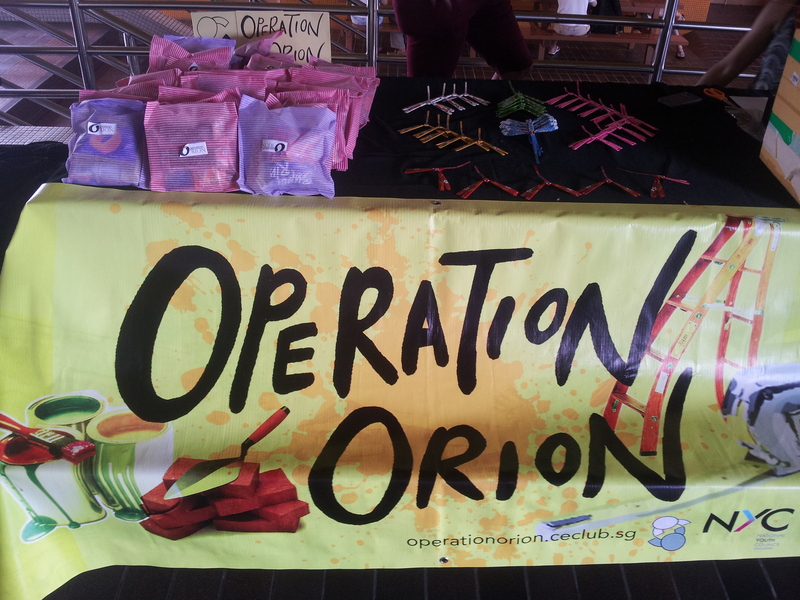 Thank you for purchasing our thoughtfully packed snack packs and handmade dragonfly balancing toys; Pledging Your Love and making a donation to show your support for Operation Orion 2014! Our fundraising efforts does not end here! We are having our second Karang Guni Collection Day on 7th December 2014 from 9am to 6pm at Yew Tee District! We would really appreciate it if you could ask your friends along to join us on this special day! We are recruiting volunteers from all secondary, tertiary and university institutions. Also, CIP hours will be awarded for those who require them. We hope to see you there! Take care!